Pain can be short-lived, but oftentimes, it is a long-lasting feeling that can only be treated with the help of a doctor and certain medications. Unfortunately, this healing effect doesn’t last long, because medications need to be refilled from time to time, which calls for more expenses. Also, depending on the type, these treatments can be really costly, which makes it impossible for some patients to afford proper healthcare. However, there is a way to get past this type of treatment, and go straight to something more affordable and better. This is where Kratom comes in. The plant has many uses and benefits, like fighting drug addiction. Moreover, it comes in various forms, like powder or a pill; therefore, it can be consumed in different styles. This is perfect because not everyone has the same preference when it comes to the way they take their medication. Other than fighting addiction, Kratom is great for relieving pain. With that in mind, here are several strains of Kratom that are best for this purpose. There are several colour types of the Malaysian strain, which are named according to their location of origin. Each strain has its own specialty. The green one is great for fighting pain because of its quick effects, and lessened sedative properties. Therefore, many choose Malaysian Kratom because they do not feel too sedated after taking it. Moreover, it gives you a little bit of a mood boost, which is great if you want to get something done, while still consuming the medication. Unlike the previous strain, the Indo strains, including Bali and Borneo, tend to be more popular among the users, and are definitely in greater demand. However, the red variants of these strains have a more relaxing effect, so the users get really sedated after using them. Therefore, staying indoors is recommended when taking this type of Kratom. Usually consumed for gaining an extra energy boost, Maeng Da can also be used for pain relief because of its analgesic properties. 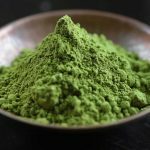 It is one of the more popular types of Kratom, and it comes in four variants: green, yellow, white, and red. So, if you want to relax and lessen the pain, take a smaller dosage of Maeng Da, which would be enough for a couple of hours. In summary, each strain of Kratom has its own specialty and effects, like the red being more sedative than the green one. Nevertheless, this can be controlled with the dosage you take. For example, if you take the green one in bigger quantities, it would be equal to a smaller quantity of the red strain. So, in the end, it all depends on what you prefer, and how much money you are willing to spend. Of course, it is important to know the possible side effects, withdrawal signs, and how to deal with them. If you are informed about everything, then you would have the best Kratom experience.